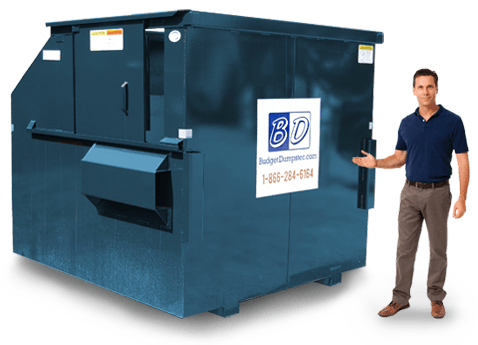 Our commercial dumpster service is predicated on the promise of delivering a complete trash removal service that meets and exceeds our customer's expectations. And part of the way we deliver on that promise is by giving you all the information you need to make an informed decision about your waste hauler. Each of our customer service representatives are experts in the field of waste management so if you have any questions at all about our trash hauling services or about the industry in general feel free to ask them. They'll lay all your questions to rest for you and get you set up with a dumpster as soon as you need it. When's the last time your trash hauler made you smile? If you have to think about it for longer than five seconds then it's probably been far too long, or it just never happened. So why stick with the stick-in-the-mud dumpster company you currently have when you can join up with the hauler that's all about satisfaction? 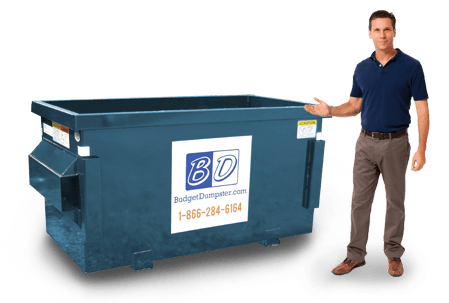 Budget Dumpster caters its trash collection services to the needs of each individual client, providing pickups whenever a customer may need them. And this exemplary service is provided at monthly rates below the industry average, giving you plenty to smile about. 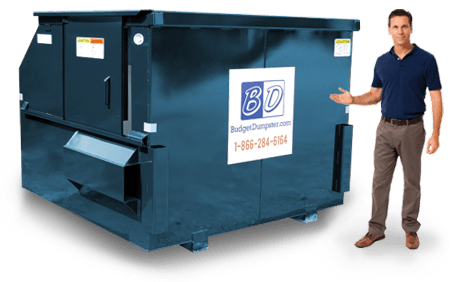 Come join Budget Dumpster today and see why we're worth smiling about. The 2 yard dumpsters we offer are a perfect size for any small business that doesn't necessarily have a lot of room to spare on their property. These dumpsters are just 6 feet wide and 3 feet long, and come up to about waist height. So you won't have any problems finding a nook or cranny to fit this small little dumpster in. And even though this bin is a bit short, it can still hold the lion's share of trash. Our 4 yard dumpsters are a great size for those who might find themselves with a lot of small trash bags and a couple of bulky items each week. These dumpsters are built for those modest trash loads that don't necessarily fit in a 2 yard dumpster, yet using a 6 yard dumpster would be a waste of space. These bins are typically 5 feet tall so they are just as easy to load as a 2 yarder, while affording much more room for trash bags and assorted debris. The 6 yard dumpster is the best fit for any business that has a large amount of trash left over at the end of the week, whether it's regular old garbage or piles upon piles of used cardboard and packaging materials. Distribution centers, large office or retail spaces, and grocers are well taken care of with one of these dumpsters. The 8-yarder is suitable for any large commercial enterprise, be it a warehouse or an office space with over 100 employees. 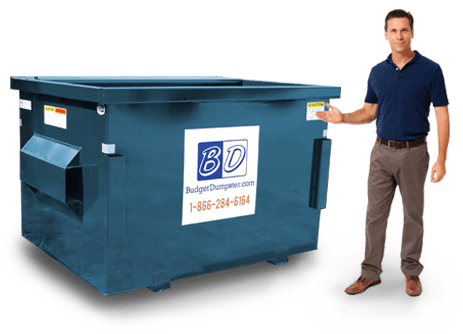 Our 8 yard dumpsters feature a side door that slides open to make it easier to load when you have more than a couple of trash bags to throw out, though you can still use the front lid for your day-to-day trash disposal needs.